PrimaPin is a relatively new casino deposit method which essentially serves as a pre-paid phone card which can then be used to transfer funds into an online casino account. In order to access PrimaPin, a user has to register on the PrimaPin website, which is free of charge, where they will be required to provide their name and address. Once an account is set up, the user then has the option to use their credit or debit card to purchase a pre-paid phone card. The pre-paid phone cards come in amounts ranging from $100, $150, $200 and $300. The benefit of PrimaPin when purchasing funds is that no online banking details are stored because it’s simply a one-off payment with a credit card. 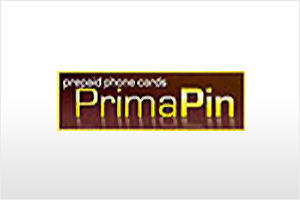 The maximum amount a PrimaPin account holder can deposit per month onto a phone card is £5000 and every time the card is topped up there is a 3% service charge. However, another benefit is that there is no validity date applied to the funds on the phone card and when depositing the money into a casino account, any amount available on the card can be deposited. With an account set up and a pre-paid card purchased, a user will be given a PIN number and control number and these are required in order to deposit money into the casino account. Simply access the casino cashier section and choose the PrimaPin payment method, enter the relevant details and select the amount you wish to deposit and it will be transferred instantly. PrimaPin strictly serves as a method to deposit funds and withdrawals have to be made using a different method. Also, PrimaPin cannot be used for first-time deposits into online casino accounts.